The Gamba winery produces big, pushing-the-envelope, fasten-your-seatbelt kinds of Zinfandel. These are not for the faint of heart or consumers looking for elegant, refined red wine. They make wine from their own vines as well as purchasing grapes from some nearby Russian River Valley vineyards. Production in their own vineyards is small, typically less than a ton of grapes per acre. The secret of Gamba's wines is in the fruit selection. They ask the pickers to select fully-ripened bunches and to discard those which are unevenly ripe (raisined or green get discarded). When the grapes arrive at the winery, they do another selection via a sorting table. They do a pre-fermentation maceration, leaving the juice with the skins. The wine is fermented in wood, we're told. The wine then spends about a year to 16 months in barrel before bottling...they say they want to capture the character of the vineyards and vintage in bottle and we'd say they have been doing a pretty good job of it. The 2015 Starr Road vineyard is on a foothill elevation above the Russian River Valley. It was originally planted in the 1920s. The vines are old and production tends to be around one ton per acre, yielding intense fruit. It's a ripe, brambly Zinfandel. Fasten your seat belt and open a bottle of this! Pam & Jay Heminway own this magnificent estate in the eastern hills of the Napa Valley. They have 31 acres of vines split into three parcels. They first planted the Chiles Mill site in 1972 when the adventure began and it's since been replanted. The Catacula Vineyard was originally planted in the 1890s, but this got replanted in the early 1980s. The Tip Top vineyard site took root in 1996 and 1997. And these sites are planted at fairly high elevation levels. Chiles Mill is around a thousand feet, with Catacula being 1200-1400 feet. Tip Top is 1400-1800 feet! The Green & Red name comes from the soil...it's got a fair bit of iron (red) with veins of serpentine (green), which is the state rock of California by the way. Jay has been making a distinctive style of Zinfandel for 4+ decades and the wine is a bit of an "old school" style. We're especially fans of the Chiles Mill vineyard bottling. His Zinfandel recipe produces a fairly gentle style of wine. The wine gets a cold soak before the fermentation and then 9 days, or so, in an open top fermentation tank...then about a year in wood, half French and half American oak. A small percentage of the American oak is new and we like the woodsy character this seems to impart to their Zinfandel. Jay Heminway and one of his Team Green & Red members in the cellar. We have the 2014 in stock presently. It's a typical example of Green & Red Zinfandel, showing nice berry fruit and a mildly woodsy, brown spice note. The wine is smooth enough to be on the dinner table tonight. Pair it with braised short ribs, grilled lamb, steaks and other 'soul foods'. We brought a bottle on a little Napa tour with some overseas visitors. We planned to stop for lunch in St. Helena at the old "Taylor's Refresher." These days it's called Gott's Roadside. We visited a number of wineries that day and after a handful of visits and tasting a bunch of seriously expensive bottles, our friends said "You know, the best wine of the day was that Green & Red Zinfandel with the amazing burger!" We view the wine as being immediately drinkable, but we have enjoyed bottles with a serious amount of bottle age...and the wine has held up beautifully and evolved to where people, having it poured 'blind,' guessed it to be a Cabernet! I think we opened a 1991 and poured it blind...might have been 15 or 20 years old. The Fritz family have been cultivating grapes in northern Sonoma County since the late 1970s, early 1980s. Jay Fritz was in the shipping business and he bought a country getaway place in Cloverdale where he planted vineyards and constructed a multi-level, gravity-flow winery. What a way to get rich! They made some good wines in their early days, but had some instability in terms of winemakers. The past decade+ has seen a consistent track record of good quality wines and we've been pleased to recommend a number of Fritz wines. The wines are routinely good quality and they carry sensible price-tags. The Dry Creek Valley is, of course, well-suited to Sauvignon Blanc and Zinfandel. The latest bottling of Zinfandel is magnificent! They typically source fruit from their 8 acres of Zin in the Dry Creek appellation. They employ a pre-fermentation cold soak for several days and then warm the juice to encourage the fermentation to proceed. The wine spends about 9 months in American oak and they've done a good job to produce a rather elegant red. It's from the 2015 vintage and the aromas are fantastic, showing bright berry, pomegranate, cherry and a touch of blackberry. There's a mildly spicy note and some sweet, woodsy tones as well. It's medium-bodied and despite its brawny 14+% alcohol, this is reasonably gentle and balanced. In the company of most California Zins, this is a bit restrained. It's not inky black in color and the wine shows nice fruit and that little bit of oak. 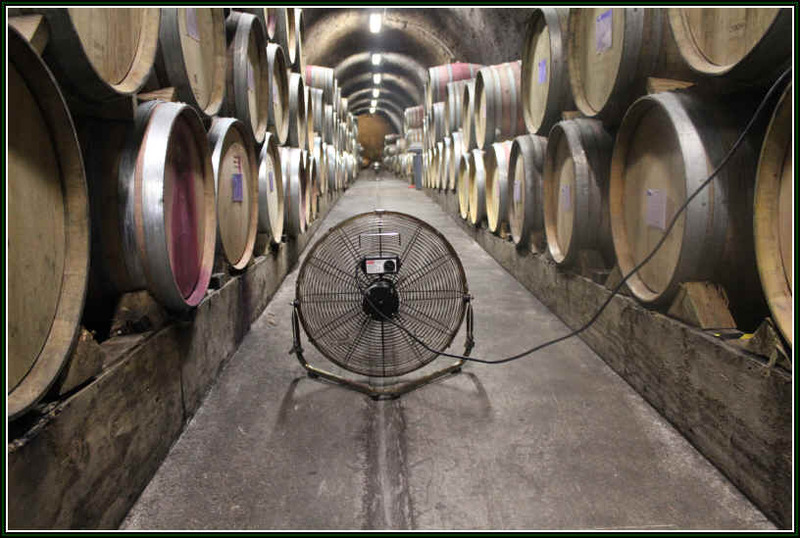 We suggest serving it cooled to cellar temperature. You can pair it with Mediterranean fare, grilled meats, roasted chicken, ribs, sausages, etc. And it's one of the best values in the shop! We've known the Trentadue family for decades! We were one of their first customers, buying wine from them in the early 1970s. Leo Trentadue used to own a jewelry store here on Broadway in Burlingame! He used to live in the Santa Clara Valley and was sharp enough (or crazy) to buy some old abandoned winery atop a hill in Cupertino...this later became "Ridge Vineyards" and I think he sold it in the 1970s. He's long been selling Zinfandel grapes to Ridge Vineyards in Cupertino for its "Geyserville" bottling of Zinfandel. 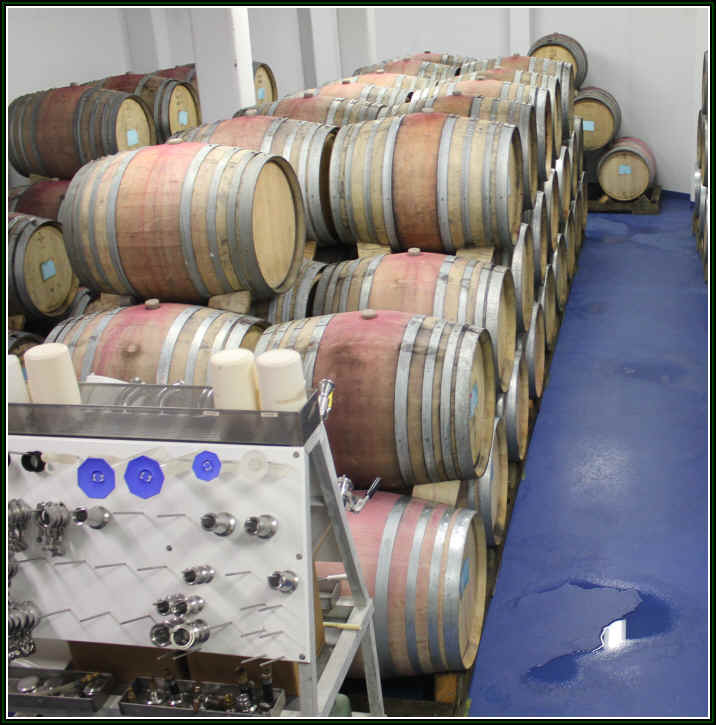 Today the fruit doesn't have to travel so far, since Ridge has a large Sonoma facility for vinifying its Sonoma fruit. Trentadue routinely made rustic wines back in the 1970s and 1980s. Finally they hired someone to actually make wine and the quality level increased substantially. The wine is predominantly Zinfandel. You'll find a nice percentage of Petite Sirah here along with some Carignane and a bit of Sangiovese. They even devote a bit of new oak to the wine. It's one of California's best red wine values. Jed Steele started out as the winemaker for a little Anderson Valley enterprise called Edmeades back in the 1970s. From there he had a stint at Kendall Jackson, helping refine the style of wine which made Jess Jackson and family the big-time wine barons they are today. He started his own label in the early 1990s and makes a number of interesting wines. The winery is located in Lake County and Jed buys fruit all over California and beyond (he makes a Washington State "Blaufr�nkisch"). Pinot Noir and Chardonnay are his main varieties, along with Syrah. Zinfandel has long been a mainstay and we've often found good vintages worthy of our recommendation. We have enjoyed many vintages of the Pacini Vineyard Zinfandel. The vineyard is located in Mendocino County and most of the vines are quite old. The vineyard was originally planted in the 1940s and in those days they cultivated head-pruned, "bush vines." It's a dry site and being that there's no water available, it's dry-farmed. They can't protect the vines from frost, so that can further reduce the crop level. In fact, while many Zin vineyards produce 4 to 6+ tons per acre, Pacini typically yields between two and three tons to the acre. Back in the mid-1990s, Steele's Pacini Zinfandel was highly-regarded and spoken of in the same context as top Ridge Vineyard Zins such as Lytton Springs and Geyserville. In those days Ravenswood and Rosenblum were also thought of as upper echelon Zinfandels. Ravenswood and Rosenblum ain't what they used to be, but Ridge still makes top Zinfandel and Steele has maintained its quality. With wildfires having become an issue in California's North Coast wine country, the 2008 was heavily impacted by the smoke from such a blaze. You could smell the smokiness un the wine from that harvest season. The vineyard is in Mendocino and was planted by the Pacini family in the 1940s. Jed bought the fruit for a number of years before simply purchasing the whole dang vineyard in 1998, as Jed was afraid someone might buy it since the wine has been so good. One of our favorite Central Coast Zinfandels, this is the work of Bill and Nancy Greenough (and now their son). They bought the Rancho Saucelito in 1974 from the grand-daughters of the English bloke who first planted vines on the property in the late 1870s. The Greenoughs found some abandoned vineyards on the estate and nurtured some three acres into production. They have since added another five acres of Zin, plus two of Cabernet Sauvignon. The vineyard is in the Arroyo Grande appellation, south of the town of San Luis Obispo. On the nose there's a hint of plum, prune, herbs and a touch of oak. Brown spices, to a degree, show up on the nose and palate. The wine is medium-full bodied and not especially tannic. 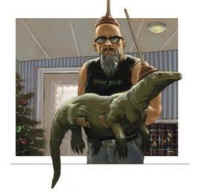 This is one of the few "Central Coast" Zinfandels we like well enough to actually stock in the shop. Larry Turley was a partner with John & Julie Williams in establishing a funny little venture called Frog's Leap Wine Cellars. Larry had a small property just off the St. Helena Highway which was a former frog farm. Given that stags were leaping prominently elsewhere in the Napa Valley, it stands to reason that frogs should also be leaping. After a few years the Frog's Leap project was so successful John Williams left his winemaking job at Mike Robbins' Spring Mountain Winery and was full-time at Frog's Leap. One day, out of the blue (so I'm told) Dr. Larry (a medical doc) tells Mr. & Mrs. Williams he wants a divorce and he's going to start his own winery making Zinfandel and Petite Sirah. The sun shines brightly in St. Helena and many people were commenting that Dr. Larry had been the victim of some sort of brain-frying. Who, after all, in their right mind, would consider starting a winery to specialize in Zinfandel and Petite Sirah? The Williams' duo purchased Frog's Leap and Turley Wine Cellars took over the former frog farm. The original winemaker was Dr. Turley's famed sister, Helen Turley. The keyword here is "was." The assistant winemaker, Ehren Jordan, became The Winemaker. Now Ehren has his own gig and Tegan Passalacqua is the winemaker in Napa, while Karl Wicka takes care of the Paso Robles wines. The Turley wines have achieved "cult" status and are offered on secondary markets for amazingly steep prices. We receive a few bottles of Turley wines and always include them in our blind-tastings, allowing a greater number of people to, at least, have a chance to experience these. Turley is a believer in achieving the maximum from the various grapes and vineyards. Yields in the vineyards, for example, are suppressed in hopes of producing a more flavorful grape. I recall tasting a Robert Mondavi Zinfandel and being impressed. The following vintage, Mondavi's wine was not so hot. An enologist at Mondavi explained why: "Helen Turley." She enticed the grower to sell his old vines' fruit to Turley Wine Cellars, instead. Old vines don't guarantee good quality. We're seeing a number of "Old Vines" Zins from Lodi. Turley makes a Lodi Zinfandel. But they go there, pay the grower for the obscene quantity of fruit they normally harvest and then tell them they want the vineyard cultivated for a crop level of about two tons per acre. The growers look at the Turley people as though they're idiots (the same way some thought they must have been out of their minds to focus on Petite Sirah and Zinfandel). However, the results have been spectacular and, in my view, there oughta be legislation mandating that only Le Methode Turley may be employed in Lodi. This would eliminate much of the appallingly weak wine coming from those vines! Larry read a book about the effects of various soils on the vines and purchased the old Pesenti winery in the Central Coast. I later told him about Pesenti's old bottles which resembled the flasks that cough medicine comes in. Turley's are huge, big, ripe, nicely-oaked wines. They almost always show well in blind-tasting comparisons. People who are accustomed to high acidity, lower alcohols (12%-13%) and virtually no wood in their wine will likely be bowled over by Turley wines. The wines tend to be bright in fruit, 14-15% in alcohol and having a fair bit of cedary wood. Please drink your Turley Zins young. Don't rely on the reviews of various critics who advise holding on to them for 5 or 10 years. Yes, the wines may have enough tannin to go that long, but it's doubtful the fruit will maintain for an extended period. Our experience with Turley Zins is they're best within a few years of release. The Napa Wine Company owns this brand and the wines are made in a winery at the Oakville Crossroad and Highway 29, just a hop, skip and a jump south of the Robert Mondavi Winery (and across the highway). This facility has been in Oakville for decades. We first knew it when it was a winery called "Oakville Vineyards" and they also had a brand called "Van Loben Sels," since Mr. & Mrs. Van Loben Sels launched the brand in 1968, or so. The winery was affiliated with Inglenook at one point. In 1993 the Pelissa Family purchased this facility and today they make several of their own brands of wine (Oakville Winery, Ghost Block and Elizabeth Rose), as well as providing a home for a couple of dozen of other wine companies. From the one Zinfandel vineyard in Oakville, we have a really charming 2016 vintage Zin. It's a rather soft red wine, being a bit low in acidity and having but mild tannins. It's been matured in 50% new oak and we like the sweet, woodsy notes on the nose. You'll want to enjoy this over the next couple of years, but don't leave it in the rack for too much more than that...it's not a wine for aging. It got a "thumbs up" from all four Weimax staffers, too. One of the sales techniques used by some wineries is to restrict sales of their products in shops so customers have trouble locating their wines. This bit of psychology can work on a limited basis, making some people want the wine more because it's hard to find. We've seen, though, sometimes customers simply give up and are no longer loyal to such brands when there are so many roadblocks to making a purchase. Rafanelli was started by an old winemaker, Americo Rafanelli. We were one of his first customers. The next generation of Rafanellis runs the place today and they prefer to sell the wine exclusively in restaurants. It is remarkable that this Zin can be found in relatively modest-quality dining establishments (to be charitable) but not a "fine wine" shop. It seems to be a strategy that works from a marketing perspective. We included a Rafanelli Zinfandel in a blind tasting and it was not amongst the top wines, yet some consumers are convinced this is one of the best wines in the market, principally because it's not easy to buy a bottle without a trek to Dry Creek. We no longer have access to these wines. The Sebastiani name is well-known in California wine history. The Sebastiani winery started out as a bulk wine producer before old August Sebastiani began bottling wine in magnums decades ago. August's son Don Sebastiani spent a few years in the California legislature and later ran the family business. After leaving the Sebastiani winery, Don and his sons, Donny and August set up a new company. Calling themselves "The Other Guys," they seem to revel in offering various wines at below-normal market prices. They came out with this marvelously silly, but certainly memorable, label. 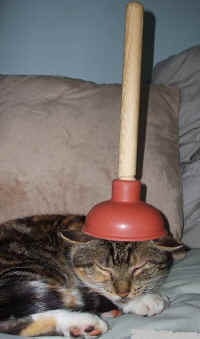 Plungerhead. It's got quite a fan club, apparently. 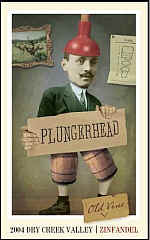 The first incarnation of Plungerhead Zinfandel came from Sonoma's Dry Creek Valley. Lovely wine and it sold like crazy at its modest price tag. 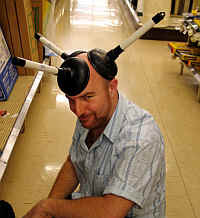 Then The Other Guys got too smart and offered three bottlings of Plungerhead Zinfandel. There was a Lodi bottling at the price of the first Dry Creek bottling, a mid-priced Sierra Foothills wine and then the near Twenty-Buck Dry Creek Zin. We stopped selling the wine altogether...no room for all three...not enough time in the day to explain the differences and $20 is simply too much for a wine our customers viewed as "everyday priced." The bottles are sealed with an interesting closure called a "Zork." It's an alternative to cork and is easy to open. We hope they will soon have a wine which better represents the Zinfandel grape from its roots rather than using wine as a vehicle for wood flavorings.